If you want to machine our rotor material (i.e. 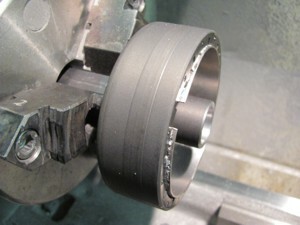 to alter taper), please observe the following to avoid that the rotor sheds its magnets. grip the rotor like this into a lathe. The drum is flexible, the ceramic magnets are not. As a result they will break loose which might not even be noticed right away, as they stick to the drum by their magnetic force. During run however they will lead to severe damage of rotor and stator coil. 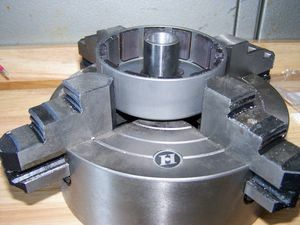 Best use a chuck that holds the rotor by the top part of its hub. 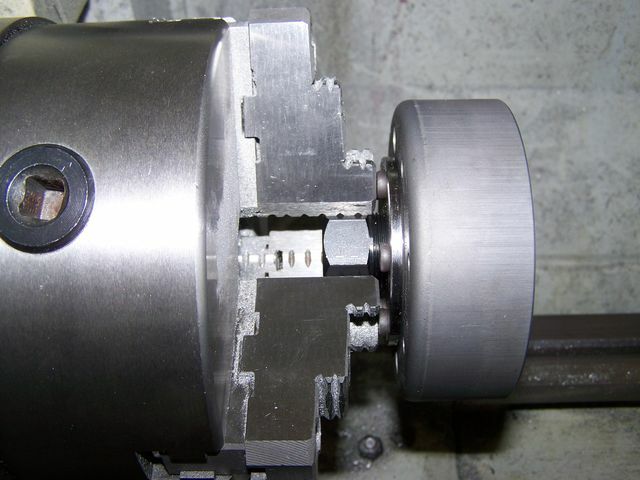 The easiest method however is to screw in the puller tool and fasten this into the lathe as shown here. You should also put a metal strip (or a stiff stripe of sandpaper) into the rotor. This will protect the plastic compound from damaged by swarf.